He marked his 90th birthday just days earlier. Prominent economist and academician Bohdan Havrylyshyn died in the early hours of 24 October, Bohdan Havrylyshyn Charitable Foundation has said on Facebook. 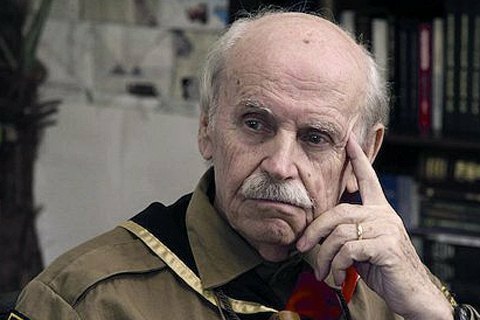 "Bohdan Dmytrovych Havryslyshyn, 90, a prominent Ukrainian-Canadian-Swiss economist, professor, philanthropist and public activist, died at 5 a.m. on 24 October. Bohdan Dmytrovych spent his last minutes in his flat in Kyiv together with his family," it said. Since Ukraine declared independence in 1991, Havrylyshyn has been an adviser to several Ukrainian prime ministers and parliament chairmen. From 1988 he worked mainly in Ukraine, created International Management Institute which he chaired, was in charge International Centre for Political Studies, and initiated the creation of a number of student organisations. He was a well-known philanthropist too. On his 90th anniversary, he was awarded the Freedom Order by the president of Ukraine.